Many of today's forward-thinking business owners and higher-up's are well aware that they're sitting on a goldmine when it comes to candidates for employees. Today's young professionals are fresh out of school, well-versed in advanced technology, and ready to rock. Generation Y is often referred to as "millennials," and their unique skills and abilities are precisely what modern organizations need to move forward and experience growth. As integral as millennials are to today's workforce, there's one issue that plagues managers across all industries - millennials can be difficult to retain. Millennials know their worth, and they're willing to assert this to get ahead. As a result, millennial turnover tends to be high, which can spell a wide range of potential disasters for management. Reducing millennial turnover is a must, no matter how much effort it might take. The process of hiring new employees can be stressful, especially when you consider how much there is to juggle. Many managers and CEOs prefer a rigorous hiring process to ensure that whoever makes it through the gate will actually be a good fit for the position. There's nothing worse than spending time and money to bring someone on, only to have them leave a few weeks later. Naturally, the hiring process serves as the perfect starting point for reducing millennial turnover. When you set out to hire new employees, rushing through the process will be one of the biggest mistakes you can make. Are you hiring for skill? Are you hiring for technical ability? If you said yes to either of these questions, you may want to take a step back and rethink it. What's their attitude like? How do they act when you ask them a tough question? Will they fit in your company culture? You want to have a very strong feeling that you've made the right decision before making the congratulatory call, and this can be a very individualized experience. The more you can see them in action, the better. Provide a trial period, give them some challenging tasks, and see how they perform. When you find someone who is likely to stick with your organization for the long haul, you'll know it. A lot of people overlook the importance of providing staff members with regular, consistent feedback. In many cases, a lack of feedback can result in employee disengagement, which ultimately results in turnover. This is especially true for millennials, because they won't just go through the motions blindly and not question anything. If you're not able to provide accurate, honest feedback, you might find that people feel the pull to leave. Even though consistent feedback is essential to keeping staff members happy and well-informed, it's important to ensure that everything you relay is kept casual and informal. Sitting people down for formal reviews is sometimes necessary, but to make this a regular thing would be enough to cause anyone to quit. Mention things (both positive and negative) in a way that proves that you're on the same level as your employees, and they'll no doubt appreciate your genuine approach. No matter how sure you are of a candidate during the hiring process, sometimes things can go wrong. You might find that someone starts off doing exceptionally well, yet over time they become a curmudgeon and start to bring the entire staff down. This can be toxic to your organization's culture and employee engagement programs, and addressing them with strong intent is the most important thing you can do to keep things from getting worse. In some cases, having an honest sit-down with the "bad apple" employee can be enough to fix the problem. You may find that this isn't enough to get your point across, however, in which case firing the offender may be your only option. After all, you don't want to lose a whole group of staff members just because you've got one employee bringing people down. Sadly enough, this happens more often than most managers would prefer to admit. Millennials don't want to work in a toxic environment, and you can't blame them, either. If there's one thing that millennials will appreciate from you as a manager, it's flexibility. The professional world has become busier and more difficult to navigate than in the past, which has changed the way management constructs the weekly work schedule. The Monday through Friday, nine to five workweek certainly still has its proponents, but if you force staff members to adhere to this schedule, you're going to alienate people. Millennials want to work for organizations that allow people to come and go as they please, just as long as they complete the work they're tasked with. In many ways, it's about showing that you trust them to be the responsible adults they are, which can go a long way in building professional relationships. If millennials feel like they're in control of their own destiny at work, they'll be far less likely to leave. Millennials are an interesting bunch because they often care just as much (if not more) about their personal values as they do the amount of money they bring in each year. This doen'st mean salary isn't important to them. This means the core values of your business can play a large role in whether or not a millennial decides to stick around. People want to know that they're doing good work and feel aligned with the goals of the organization, and when they don't, they tend to look elsewhere. A business can only be successful in today's cutthroat world if it is run by a group of passionate people. Emphasizing the core values of your organization regularly and with a degree of consistency will help keep morale up. Millennials won't be the only portion of your staff to benefit from this sort of positively, as it benefits everyone who works under the umbrella of your organization. Millennials are some of the most well-educated folks out there, and the last thing they want to do is get themselves into a position where they won't be challenged or have access to exciting opportunities. Nobody really wants sideways growth, so why would they settle for it? If you expect millennials to stick around and give you their all, you need to provide a platform for growth that will excite even the hardest workers. They might just surprise you. Whenever a new generation invades the workplace, all kinds of myths, stigmas, and generalities can begin to pop up. A large myth that sometimes gets associated with millennials is that they lack work ethic. This is simply untrue. Millennials are some of the hardest working people in the professional sphere, and many are hungry to learn more as each day passes. These individuals are the future of business, and ignoring this fact will do nothing but cause problems in your workplace. If you allow myths about work ethic and other traits to get in the way of building strong professional relationships with millennials, you're going to alienate them. No one wants to work for a boss who thinks poorly of their generation. With all the various opportunities out there, why would they? Put the myths aside — they won't do you any favors. Many managers don't even realize that they neglect giving encouragement to employees, and it's hard to blame them sometimes. After all, managers and CEOs have so much on their plates that even finding a spare moment to congratulate or encourage staff members on a job well-done can be a difficult task. If this sounds familiar and you're looking to reduce millenial turnover, it's time to make a few changes. This is more about maintaining a shift in mindset than it is anything else. You need to react in a positive manner when an employee has done well ... rather than just expecting that they'll get the job done. This will set you apart from being a typical "boss," which is exactly what today's successful leaders are doing. It's all about showing your appreciation for quality and strong performance ... and really, is that so hard? Collaboration is often the secret that managers need to improve employee engagement, productivity, communication, and the overall products/services. When employees collaborate with each other, a whole pool of new ideas and solutions can come to light, all without any extra expense on the part of the business. Encouraging collaboration is something that all managers should set out to do, even if it seems like a difficult process at first. 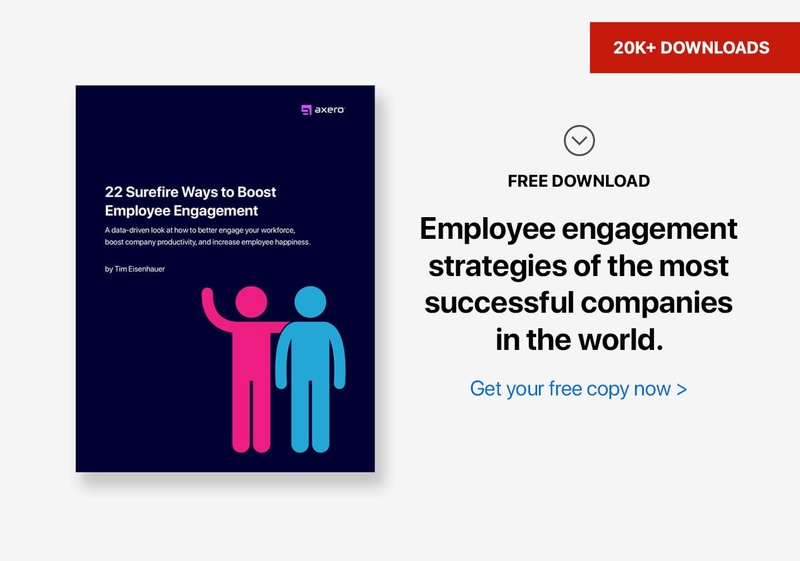 The main reason why millennial turnover is likely to diminish when employees start collaborating is because employee engagement levels typically go through the roof. Even those who tend to prefer working on their own can benefit from enhanced collaboration, as this can be exactly what they need to get out of their shells. No matter how much you like to think that people will work for you based solely upon the merits of what your organization does, this is typically not the case. It certainly matters (and often to a large extent), but you have to provide the goods if you really want people to stick around. This means providing the right benefits package and not skimping on amenities, as millennials know their worth and are not willing to succumb to anything less. There are countless different ways to approach putting together a benefits package. Between health insurance, paid time-off, 401k and everything in-between, the possibilities are endless. What needs to be remembered, though, is that if it isn't attractive, you're going to lose staff members — specifically, millennials. The solution? Ask them what they'd like. Weeks and months can go by where managers don't even ask their staff members how they're doing or if they need anything. This is clearly not a good thing, yet it happens all the time. When people are busy, necessities like this slip away because they don't seem as important as everything else. If this is the mindset you currently hold, shifting it immediately is the most important thing you can do. Asking employees about what what they need is crucial to keeping them happy. Even though millennials tend to be outspoken, they may not be willing to dive right into something that might be causing hangups at work. If you make yourself available, be a real human being, relate with them, and truly show that you care, the path to communication opens up and issues aren't allowed to fester ... thus building trust and reducing millenial turnover. When you have to show up somewhere for work each day, it becomes a priority that the environment be positive. So many managers let this slip by, forgetting just how important a role the environment can play on an employee's happiness and morale. It doesn't matter if it's a physical office that people drive to each day or a virtual community — positivity can be obvious once you see it. Keeping your employees happy at work has a lot to do with offering freedom, but it also comes down to ensuring that negativity never gets in the way. If someone has a bad attitude, pull them aside and talk about things they can change to make life easier for everyone else in the office. Most importantly, be the best manager you can, and never allow negative outlooks to make it into the workday. If you've taken a great deal of time and effort to hire the best possible candidates, you should know that the work isn't over once the paperwork has been signed. Onboarding can be a lengthy process, but many people think it can be quick and easy to show a new employee the ropes. However, new employees need to meet and get acquainted with colleagues, internalize guidelines, and take on a handful of other tasks at the same time. This can be a stressful experience. Implementing a strong onboarding program can make this process easier for everyone involved. It should be as easy as possible for new employees to get well-acquainted with your organization. While this can surely take some time, having a strong onboarding program will get you a lot of mileage, effectively reducing millennial turnover. While millennials tend to be exceptionally motivated as a whole, to say that they can't use a little rousing every once in a while would be inaccurate. Everyone needs the occasional reminder to stay on task, regardless of whether or not they'd like to admit it. Millennials are talented, hardworking employees, but they can also be stubborn. This is where strong management principles come into play. It can seem as if keeping people on task would mean ruling with an iron fist, but this should never come into the equation. Rather, the process involves you as a manager making sure that you're aware of what's going on and what needs to be done ... and casually relaying this to employees. You might think they'll get frustrated that you're barking orders at them, but chances are they'll appreciate the fact that you're paying attention. If there's one thing that millennials absolutely cannot stand, it's lying. Even slight dishonesty or "white lies" are enough to cause a complete breach of trust between millennials and management. Upfront honesty, of course, always sounds like a good idea — the question is whether or not you're giving it. No matter how you try to slide around a potential problem, millennials are going to be smart enough to call you out on it, and they will! This happens time and time again, simply based upon the fact that a lot of people in leadership positions would prefer to skirt around an issue instead of coming clean about something. Take this route, and keeping millennials on staff will become exceedingly difficult. Reducing millennial turnover is something that all managers and CEOs can benefit from, and while it can seem difficult at times, it doesn't have to be. With the right strategy and mindset, you can ensure that you'll have a well-keeled staff for years to come.